Mikhail Prokhorov, worth about $22 Billion, said he was not the mystery buyer of the southern France property. The estate is listed as the world’s most expensive home. 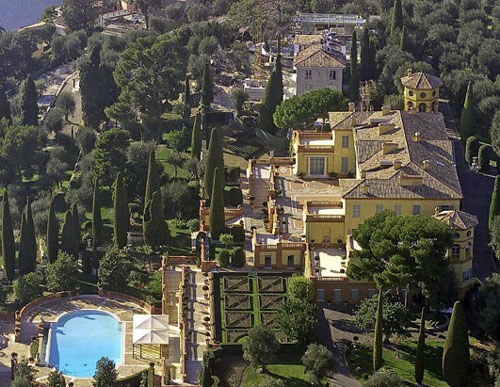 The Villa Leopolda in Villefranche-sur-Mer, on the Côte d’Azur in France, sold for 496m euros ($730m ; £392m). Although Mikhail Prokhorov’s spokesman has denied the rumor, both French and Russian media have insisted that the Russian billionaire had purchased the property. In addition, sources close to the Chelsea owner Roman Abramovich, deny that he was behind the big-ticket purchase. The home was built in 1902 for King Leopold II of Belgium and has grounds so grand that it takes a reputed 50 gardeners to tend them. The sumptuous villa has been graced by world leaders and superstars. The previous owner, the late banking billionaire Edmond Safra, is said to have entertained Ronald Reagan and Frank Sinatra there.